There’s nothing worse than enjoying a hot shower and then suddenly the water goes ice cold. No…unfortunately this isn’t your sister flushing the toilet as a prank, it’s your water heater on the fritz. Now not only are you in a foul mood from your shower cut short, but now you’re forced to call a repairman to fix your water heater. Poorman’s Heating and Air Conditioning’s (found in Fort Wayne, Indiana) provides you with friendly repairmen that make the inconvenience of the lack of hot water seem less stressful. We’d even go as far as to say the visit would be informative and enjoyable! Call Poorman’s (260-422-3534) for an inspection today. Did you know that there’s an alternative to the massive water heater we’re all used to? 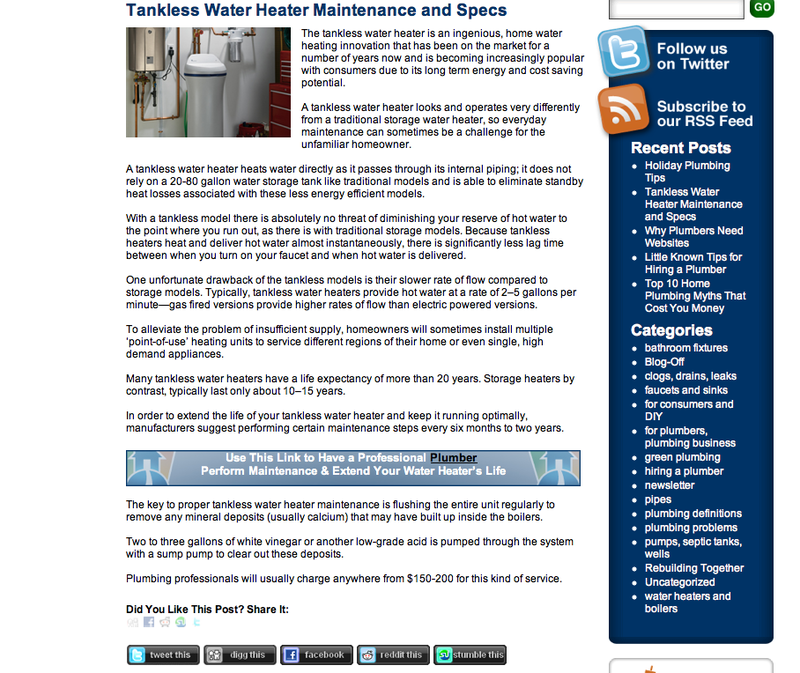 How about a tankless water heater? Elocalplumbers.com wrote an article discussing the pros and cons to this type of water heater, a big pro being that the hot water is instantaneously so you’ll never risk running out of hot water. Read the article and decide for yourself, but take note that the tankless water heater not only takes up less room but the endless supply of hot water sure sounds tempting!